Ferns know me as the Fern killer. Sad, but true. I haven’t given up though. 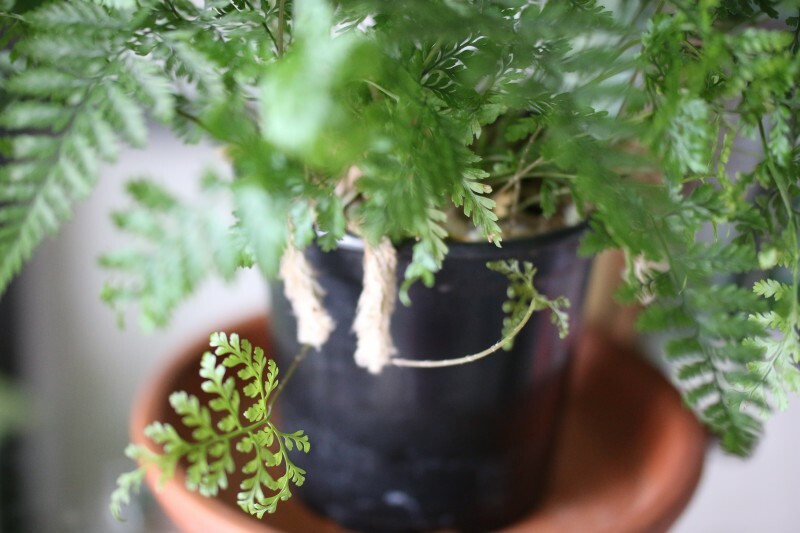 I still keep a few ferns around such as the Staghorn fern, a Boston fern and the Rabbit’s foot fern. Davallia fejeensis (rabbit’s foot fern) is a native of Fiji. It is an epiphytic fern whereby they grow on trees and rock crevices obtaining nutrients from rain, air, trees and debris. 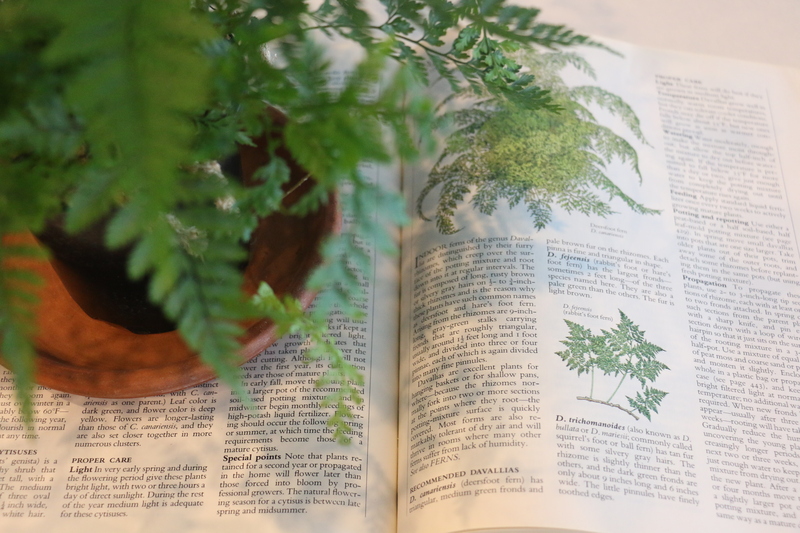 This fern gets its common name from its fuzzy-haired covered rhizomes that resemble a rabbit’s foot – a so-called good luck charm. The rhizomes are definitely ‘petable’ and so if you have no pets and not too keen on Goldfishes 🙂 consider the Rabbit foot fern. These furry rhizomes creep on top of rocks, barks on the case if the house plant on soil, where they absorb moisture and nutrients. The plant’s foliage also arise from these rhizomes and witnessing the foliage emerge from them is quite spectacular. 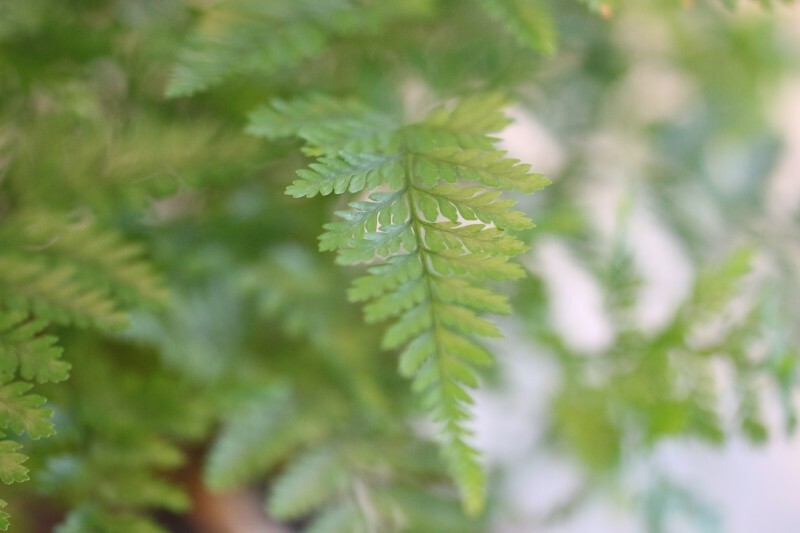 This plant has a typical fern appearance of lacy-like fronds which are attached to thin stems. It is easier to take care of than other ferns in my opinion. I probably think this because I’ve had it for months and it is still alive and flourishing. LIGHT: This plant prefers moderate to bright indirect light. It will do well in an east-facing or north-facing window. I keep it on a shelf, a few feet away from a southwest facing window and so far, there have been no scorching of leaves. 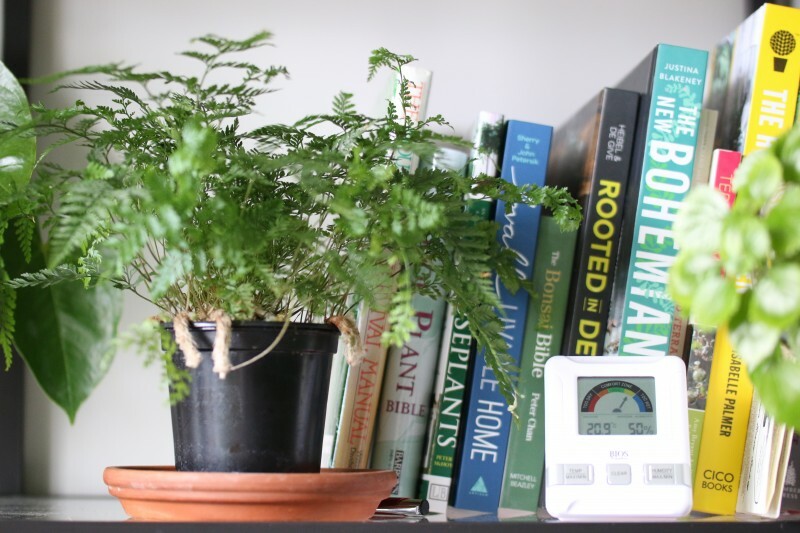 HUMIDITY: One thing that makes this an easy-to-care-for fern is the fact that it can tolerate low humidity than most ferns and can therefore thrive in most indoor situations. It is advised to mist the leaves and rhizomes periodically to raise humidity. I do this about once to twice a week. The rhizomes would get wet anyway when watering. GROWING MEDIUM: Any potting mix will do. POTTING AND RE-POTTING: It is advised to re-pot when the plant has outgrown its planter or when the rhizomes have filled the top of the planter such that water cannot really get through. I read that when this happens the fronds turn brown and die. This therefore means the roots are just as important as the rhizomes when watering ?! Looking at my plant, it would be quite difficult to repot as it would mean some of the rhizomes hanging on the side of the pot now would end up being buried in the soil when transferred to a bigger pot. And that is a no no as the rhizomes will rot. Dividing the rhizomes during reporting might be the way to go if you have any tips on re-potting, share them below. PROPAGATION: Do this in the growing season, during spring and summer, by dividing the rhizomes with roots attached. Place the rhizomes on the surface of the soil and hold it in place by using wire, hair pins, toothpicks etc. Do not bury the rhizomes. 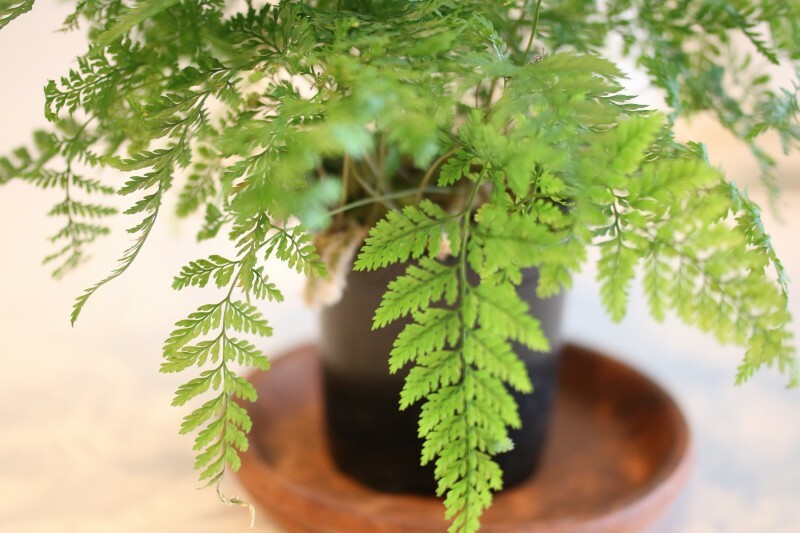 Do you have a rabbit foot fern? Share below. 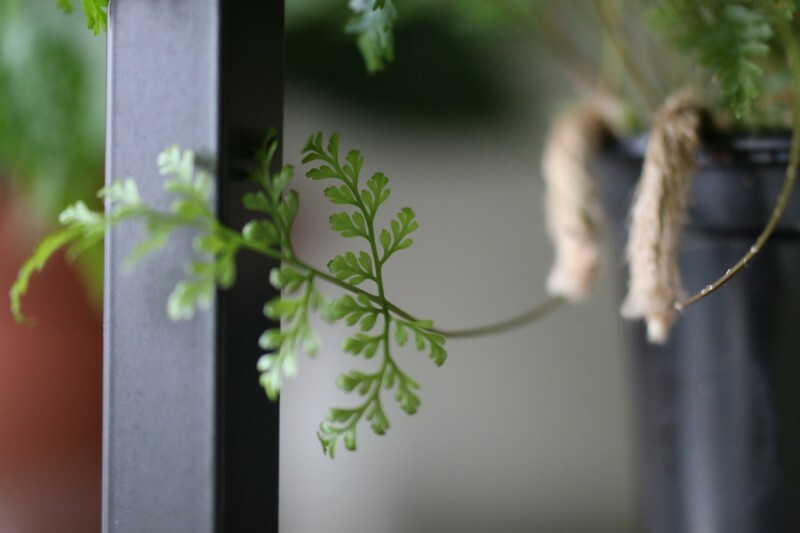 I don’t have a Rabbit’s Foot Fern, but I’ve seen them and sometimes when they are really grown and hairy out of the pot, I think they look like spiders 🙂 But that is probably just because of living in Australia and it comes with the territory, expecting a spider to be hiding in a pot! 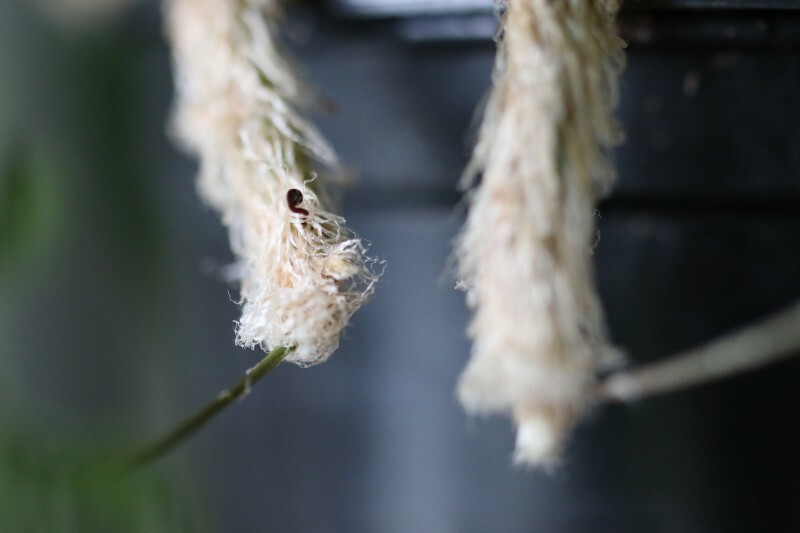 I don’t have a lot of luck with ferns either … that tassel fern I had … best not to speak ill of the dead 🙁 Love them, but finding the right conditions INSIDE can be tricky, but outside they’ll grow like weeds! So sorry to hear about your tassel fern. I have a Boston fern right now and although it is thriving, leaves keep falling everyday:( Only a matter of time. I agree with you. The rhizomes look more like tarantula legs than rabbits’ foot when they grow very long.